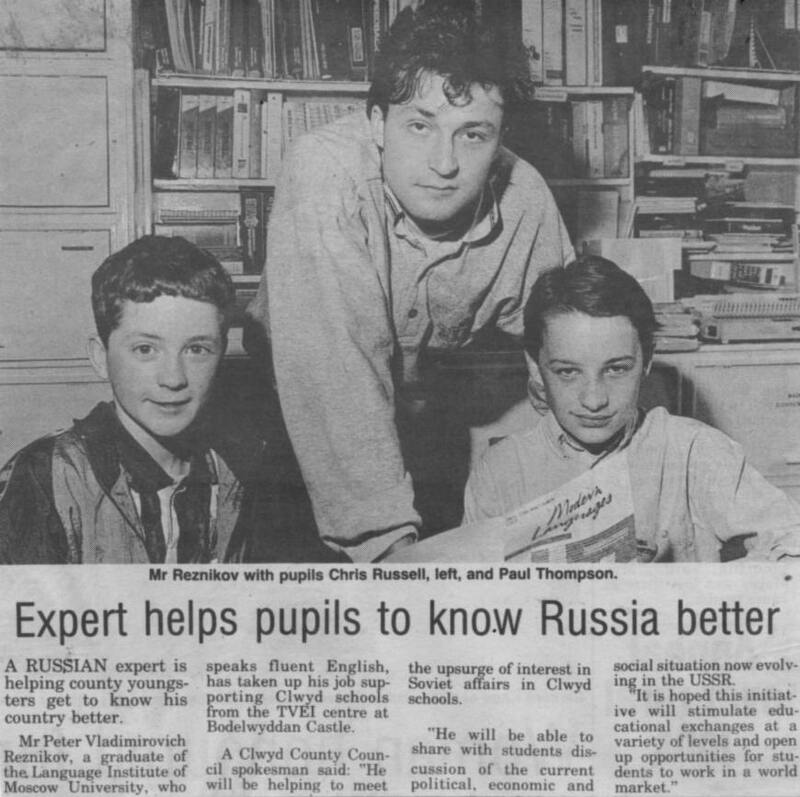 A RUSSIAN expert is helping county youngsters get to know his country better. Mr Peter Vladimirovich Reznikov. a graduate of the Language Institute of Moscow University, who speaks fluent English, has taken up his job supporting Clwyd schools from the TVEI centre at Bodelwyddan Castle. A Clwyd County Council spokesman said: “He will be helping to meet the upsurge of interest in Soviet affairs in Clwyd schools. “He will be able to share with students discussion of the current political, economic and social situation now evolving in the USSR.